Entry doors are known for security and durability. These fixtures, in fact, help set the tone for the home. When it comes to “curb appeal,” front doors are as integral as the siding, windows and the roof. This article takes a look at some of the ways homeowners can optimize their front door in an effort to enhance their home’s appearance. Door features help the fixture become as functional as it can be. Upgrading an existing doorbell helps, though the price will depend on the chosen type. It is imperative that the upgrade match the home’s style, particularly the finish to the door’s other hardware elements such as the lock. A great addition would be a door knocker. Available in die-cast and plated with brass, this feature maintains a classic style that will fit doors that exude the traditional look. Another is to install either a mailbox or a mail slot. Doors often take a lot of beating from the elements. Sun, rain and wind can take a toll on how the fixtures look from the outside, so taking care of them is imperative. A wooden front door will need a new coat of paint every five years or so to update its appearance. Additional care is required if the door is stained or varnished. Updating the doors with a new color is also essential in creating a first impression for the home and its curb appeal. Mixing and matching hues must be well-chosen. For instance, using bright and bold colors that would contrast siding and trim would help the fixtures pop. Another option that will make the home’s facade stand out is to pursue an entry door replacement. For this, turn to Renewal by Andersen® of Milwaukee. 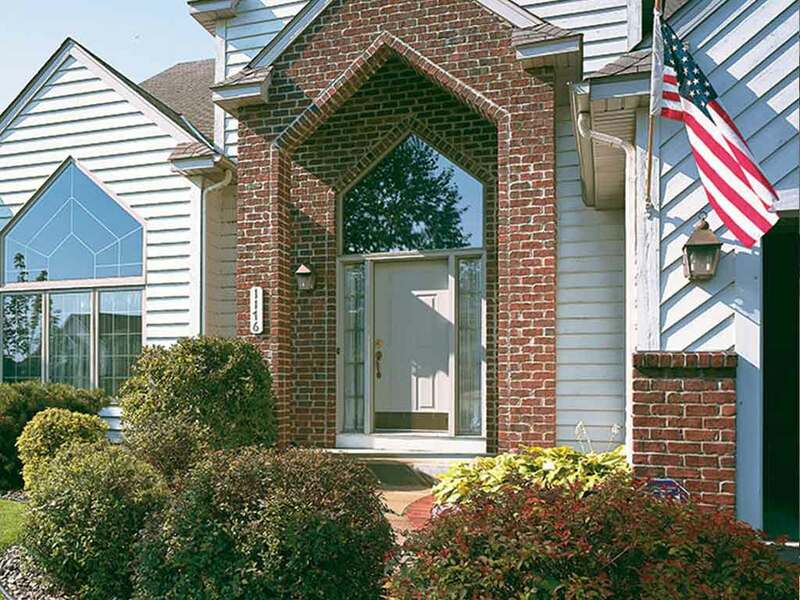 Our company installs ProVia® entry doors, which are known for their toughness, durability and beauty. Our team of professionals is ready to help you choose the right one that best fits your home decor and personal style. Our company also offers Renewal by Andersen patio doors that help connect your indoors and outdoors. To learn more about our services, give us a call at (262) 955-8400 or at our toll-free line, (877) 977-3639. You may also fill out our contact form for a free, in-home consultation. We serve residents of Milwaukee.